The Angel numbers 1221 carries a message from the angels that it is necessary to stay active and focused in life. The current issues and situations you are experiencing in your life should be tackled with a positive attitude. The outcome will depend on your optimism and positivity. You should, therefore, ensure negative attitude get discouraged as much as possible. The angels around you are loving and supportive, and they are willing to help you achieve your goals. Number 1221 says that you should also trust the universal energies, your feelings, your thoughts and your inner-self to be able to manifest your reality. The Angel number 1221 goes further to say that you should be grateful for your life’s blessings and for those blessings that are yet to come into your life. An attitude of gratitude attracts more blessings into your life. You should follow the guardian angels’ wish of walking in your divine path passionately. Relating to the individual angel numbers, the single number 1 tells you of using motivation and inspiration in striving forward and finding new beginnings. The Angel number 2 shows you the importance of using faith and trust in achieving positive results that are in line with your life mission and purpose. The double Angel number 12 also resonates with the power of faith and trust in achieving your divine purpose. The number also tells you to develop new habits on top of old ones. The Angel number 21 stresses on new opportunities in your life. The angels give encouragement to be calm and happy that all will be achieved. The triple Angel number 121 talks of how important it is to be positive in life and pursuing new opportunities. The angels say that you can only achieve this by dropping old habits for new ones. The other triple Angel number 221 stresses on being grateful in life because that will lead to more blessings. 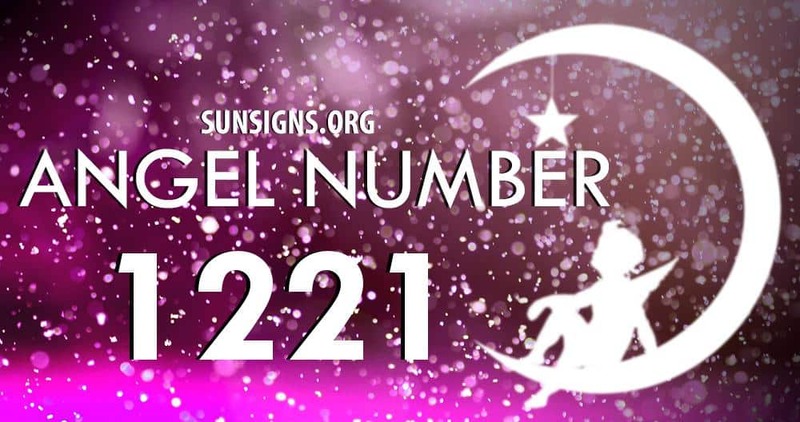 Angel number 1221 says that the primary focus of life should be to your desires, positive expectations and outcomes. Any fears or doubts you have should be given to the angels for healing and transmutation. The negativities of your life should also be replaced by positivity.